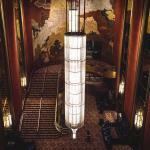 Radio City Music Hall is a distinguished concert and event hall located on Sixth Avenue and can be recognized from a distance by its striking exterior lighting. Throughout the year, concerts and events take place here such as the popular Radio City Christmas Spectacular starring the Rockettes. It is the most famous Christmas Show you can watch in New York! Every year from November through January, over 140 sensational dancers and singers perform in pure Christmas spirit. The entire show lasts for 90 minutes. What you will see? Sparkling costumes, a unique stage set and loads of Christmas songs that inspire audiences. The stars of the show are Santa Claus and his elves, the Rockettes. The Rockettes have the reputation of being one of the best dance groups in the world! If you go and see the show, you will see why! A personal highlight of the show for us is the Toy Soldier Performance. Every move they make is seemingly perfect. At one point you will see them lined up so flawlessly, you can only see one soldier! Watching them was truly entertaining and also truly satisfying. Over the years, the show has been updated to include more technology. What you can expect now is a 3D performance as well as the use of drones during the show! You can watch the Radio City Christmas Spectacular at Radio City Music Hall. There are up to five performances per day, so there should be something for you! 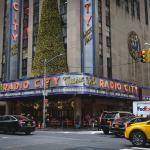 The Radio City Christmas Spectacular is very popular and the tickets sell out relatively fast. Tickets start at $50 but become more expensive the closer we get to Christmas! Radio City Music Hall is massive and you have plenty of seats to choose from. The good news is, that most seats offer you good views. If you ask us, don’t choose a seat too far in the front. Why? Because there’ll be some performances and effects, where you’d need to turn around to see everything. Choose the center or the back if you are looking to sit in Orchestra. Curious, when information about Rockettes 2019 Christmas Spectacular might be available. Trying to plan a trip to NYC between Thanksgiving and Christmas 2019, and see little info of shows past September 28. Can we get on a mailing list and some idea of when these things are known and tickets might be available? tickets typically go on sale a few months in advance. You could sign up for our newsletter to be informed once they are available. Alternatively, just check back in fall.